I’m noticing that my brain offers me several thoughts that are not benefitting me in ANY way. So why do I keep thinking them? Because my brain is efficient and good at thinking these thoughts. 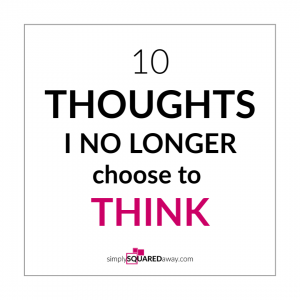 I’ve decided to refuse to think them. 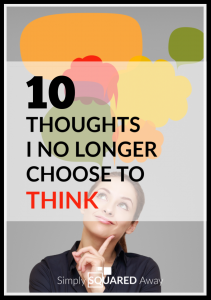 Here are ten thoughts I no longer choose to think. Find the obstacle thought, the one that you believe is the truth. I was born messy? I’m terrible at organizing? I don’t have an organizing bone in my body? Flip the thought and prove the opposite is true. It IS possible to get organized. Don’t look to your past. Of course, if you’ve never been organized before, there is no evidence to prove you can get organized now. But, there was no evidence a baby could walk, electricity could be invented, or a phone could be a small rectangle with no cords. 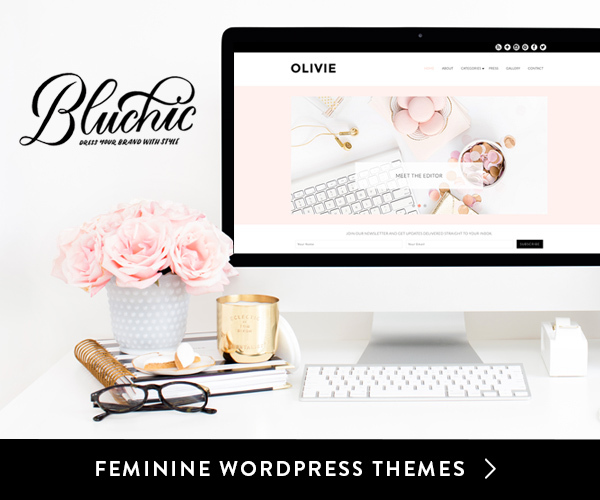 As a life coach and professional organizer, I teach you how to create a plan AND carry it out to become an organized person with an organized environment. All you have to do is put a few routines in place. Last year I decided I would make my bed every day of the year. I focused on that one routine every day. No negotiation. It’s no big deal now AND when my bed is made I’m less likely to leave stuff on my dresser or drop my clothes on the floor. I like how it looks with my bed made. It’s clean and hotel-like. When you leave a room, STOP and look behind you. What needs to be done. Blankets folded? Dishes brought to the kitchen? Counter wiped down and hair products put away? Clothes hung or put in the hamper? 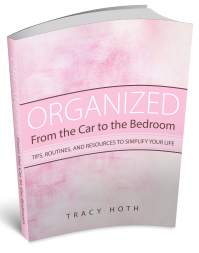 As a life coach and professional organizer, I teach you how to create routines that will keep you organized forever. What if you can? What if you don’t stop until you do? As a life coach, I show you how you can accomplish any goal. No one else is going to change. Now what? What if you could be happy, content, loving, and not irritated AND the other person doesn’t have to change at all? As a life coach, I teach you how you are in charge of your emotions without anyone else having to change. What if you have just the right amount to do? And, remember you don’t HAVE to do ANY of it. Really. You don’t have to feed your kids, go to work, call your mother, or even pay your taxes. You can choose to do those things if you want to. As a life coach, I teach you how to get more things done, in less time, and only do what you want to do. Reaching goals by being uncomfortable because you’re trying new things can be fun. Doing something you said you would do even when you don’t feel like it is rewarding. Being curious about why you ate ice cream after you said you weren’t going to is painful and eye-opening and worth it…but not happy. 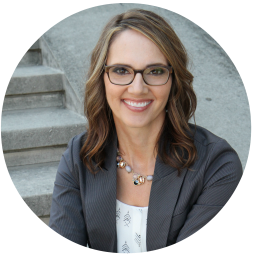 As a life coach, I teach you how to manage your brain to accomplish what you want to accomplish and feel how you want to feel. It doesn’t mean you’ll be happy all the time, just intentional. As a life coach, I help people look at their money beliefs. Instead I like to think, “I’m figuring this out.” What will I try first? I will figure it out by researching a little and then choosing something to try. If it doesn’t work, I’ll try something else until I figure it out. As a life coach, I help you do the same. “I don’t know” isn’t allowed. NO negative self talk. Period. If my brain offers it to me, I refuse. No thanks, brain! I wouldn’t say those things to someone else. I refuse to think them about myself. As a life coach, I show you what your self-talk is creating in your life. As a life coach, I offer you other options. Decisions are not right or wrong. They are just decisions we get to make. Of course, morally or ethically I try to make decisions based on my values. Those decisions are not the ones I’m talking about. I’m talking about all the other decisions like choosing an insurance carrier, buying a house, choosing a spouse, changing jobs, when to have kids, etc. Once I make a decision, I’ve decided I won’t beat myself up, I won’t look back and I won’t second guess my choice. It’s just done. My decisions WAS the right decision no matter what happens. As a life coach, I help you wrestle through these things, holding the space for you to see your thoughts. What thoughts is your brain offering you? 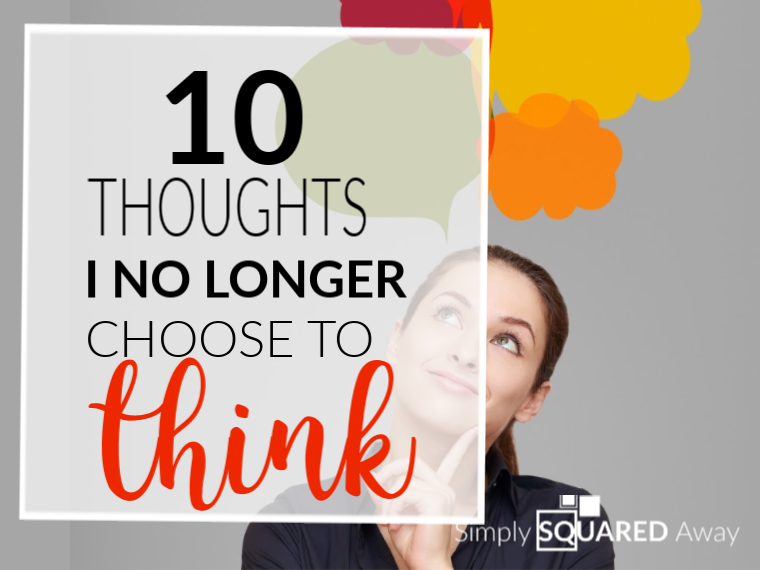 Which will you no longer choose to think?